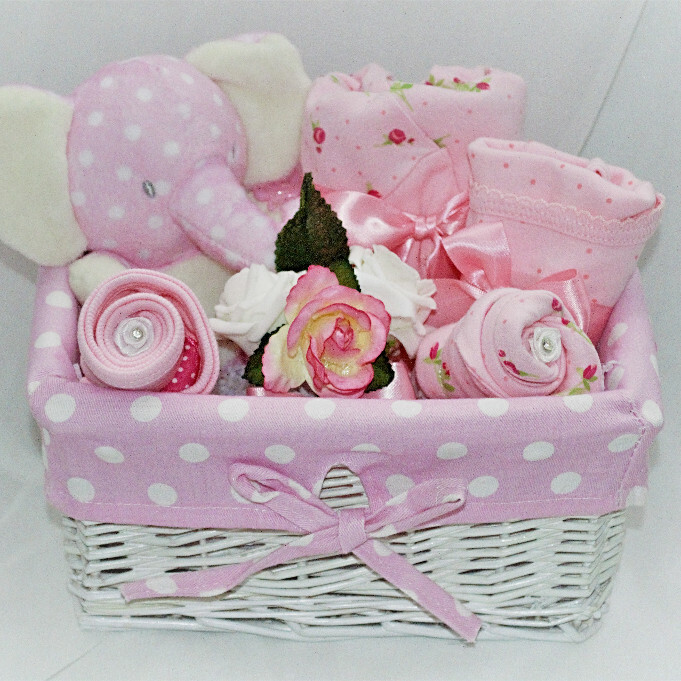 This gorgeous basket contains a matching 5 piece outfit and a cuddly soft toy. This makes a lovely gift for a new baby or expectant parents. Please note, the matching outfit will be size: NB, 0-3 or 3-6 depending on available stock. If you have a preference, please enquire before ordering to avoid disappointment. \nThis item comes gift wrapped in cellophane and tied with a bow at no extra charge, so it's ready to be gifted.